I expect most of the people who drop by here know this already, but for that one guy (or even an entire clueless company like the morons at Goolag© today) who never gets The Word, the following. We have a day in this country to honor all those who have served. Originally, it was called Armistice Day, to commemorate the end of The Great War in 1918. Once we had to start numbering the world wars, that commemoration fell out of favor, and so to honor everyone who fought in all the wars, we changed the name. As it's cleverly now known as Veteran's Day, the literate might have apprehended the fact that it's the day to pay tribute, mainly verbal (sadly, no chests of plunder from the conquests to the participants are in favor any more), to all military veterans. Today started out as Decoration Day, which was a day to decorate the graves of those who had fallen. First, in the Civil War, then the Spanish American War was included, and then we started adding honorees wholesale after a couple of trips to Europe and sundry other locations, and it was morphed into Memorial Day. And slidden from the 30th into any convenient Monday, so that all the folks who never left home could have a three-day weekend, for their 9-to-5 daily sacrifice. This is not the day to go about with a trite and cost-free "Thanks for your service" upon your lips to those you may encounter, however good-hearted and well-meaning your underlying sentiment. 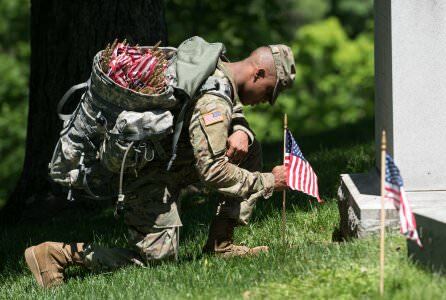 Today is the day set aside to honor The Fallen. 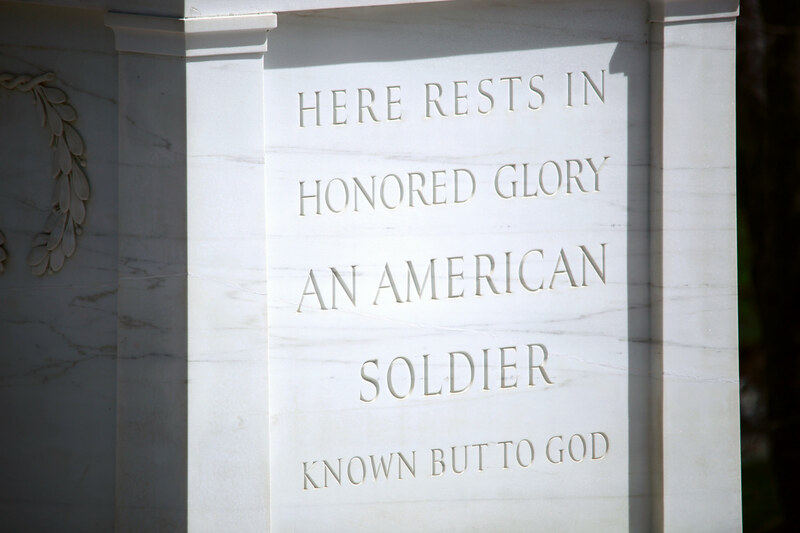 The ones who actually died in the service of the country. 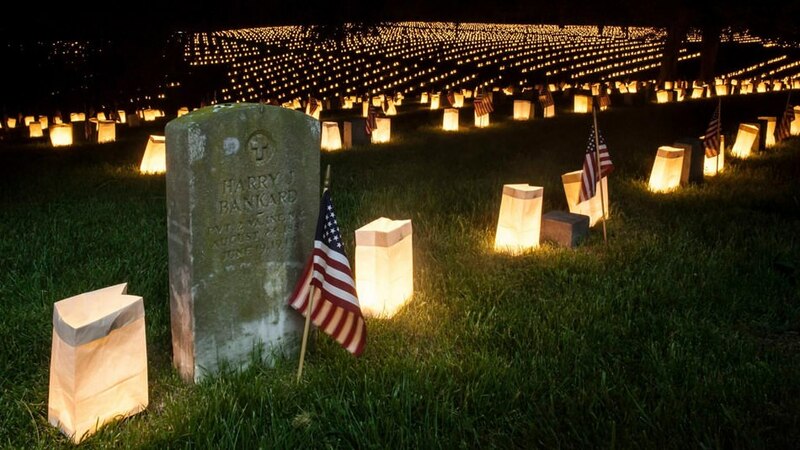 The ones who gave all of their tomorrows so that you could have your today. So as you go through a weekend that, to listen to the blathering airwaves, is solely to celebrate sales on mattresses, underpants, beer, and garden tools, and such consumerist excess largely toasted with supertankers of beer, trainloads of hot dogs and hamburgers, and enough chips and dip to choke legions of horses, spare a thought to the guys who aren't here to enjoy it with you anymore, because they had other priorities. They wouldn't begrudge you the moments, and in fact had they been asked, most would rather be there with you, or at any of the ones previous to today, all things being equal. But they made choices, those choices had consequences, and when duty called, they didn't shirk it, because that's the kind of people they were. Find the nearest military cemetery, or the nearest ordinary cemetery with military dead buried in it. Plant a few flags. Drop off some flowers. Take a minute or three and think back. Ponder what it took for someone 17, 18, 19, or even 39, to leave home and family in 1861, 1917, 1942, 1950, 1965, or 2002, whether voluntarily or even as a draftee, in earlier years. Then to put up with some version of boot camp in some grubby little dump of a place, dropped into a strange world full of strange habits, while being scolded and screamed at, and with the reward for all that to have a good shot at ending up exactly where they are now: six feet under. And, knowing all that was in store, to do it anyways. It won't cost you anything but time, a few bucks for gas and some small offerings, and a few brief thoughts for a lot of people you never met, and never will. Or, God help you, a family member you won't see again, or a relative, or a friend you once knew. Or even just total strangers who only share with you some prior expression of citizenship, of a form that has never been considered stylish, not even during the eras viewed with the most hazy nostalgia in our history. "No soldiers or dogs" goes back to pre-Revolutionary War times in this country, as is alive and kicking in the minds of literally millions to this very day, when they're honest. Give a brief thought to the dream we all share called "America". Then, go on about your business. Because a graveyard host helped make that possible. It isn't going to do anything more for them than give them the respect they're due from those of us on this side of the grass. But it might make you a better person, for the price of the bare effort to properly celebrate the day, however briefly. And that's a Memorial Day bargain upon which you simply cannot improve. Yesterday I was at the annual ceremony where we place place a wreath on a local river to honor the Navy, Coast Guard and Merchant Marine, then walk the block or so from the bridge to a cemetery (with over 300 flags planted the day before by local Scouts) for another ceremony to honor all the fallen. Between the VFW and American Legion we always have a good turn out, but it is nice to see lots of youngsters and folks with no actual .mil connection show up. There will be burgers today, but at the VFW post with a lot of guys that have been there done that. I always feel like a piker beside guys with purple hearts, silver stars and a long list of brothers that did not come back. I figure I can at least listen to them and make sure someone is there when they need it. And to your readers (I know I don't have to tell you), don't forget those that died during "peace time" ensuring that the "cold war" stayed cold. Least beginning the Revolution the "Soldier" was a neighbor or fellow townsman. In WWII the town of Bedford VA lost hugely of their sons and neighbors. Say, How About That Deep State?